Halina began my dance career in 1988 being tutored by top instructors from Canada, United States, Europe and Australia. partners have been finalists in several competitions having won multiple gold medals. 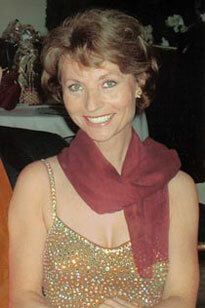 Halina has been a guest performer on TV and in three Canadian movies. In addition, she has put on shows for fund raising events including the Special Swing Day held at Saint Joseph’s Hospital. She has also performed with dance partners at Special Events held in upscale venues such as Roy Thompson Hail, Casa Loma, King Edward Hotel, Palais Royale and The Old Mill. Halina currently provides group and private lessons for a variety of different dances including East Coast Swing (jive), Cha-Cha, Rumba, Samba, Salsa, Bachata, Merengue, Tango, Fox Trot, Slow Waltz, Viennese Waltz, Quick Step and Argentine Tango.